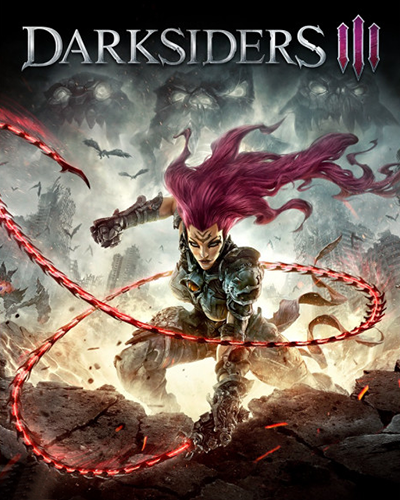 Darksiders III is the long-awaited third chapter of the action adventure in the genre of hack-n-slash in the widely acclaimed series of games Darksiders. The earth is under the authority of the Seven Deadly Sins, as well as their mystic creatures and fallen beings. You have to play for FURY - a sorceress who can only rely on her whip and magic in restoring the balance between good and evil on Earth! • Curb the magical power of FURY to release it in various forms. Each of these forms will give access to new weapons, techniques and capabilities. • Explore the living and open world of the game, in which FURY will travel, revealing secrets during the passage of the plot. • Hold up over the Seven Mortal Sins and their minions - from mystical creatures to fallen beings. • Experience the excitement of Darksiders corporate identity and extensive post-apocalyptic landscapes that transfer the player from the heights of the heavens to the very depths of hell and the war-torn Earth, where wildlife reigns again. key received immediately after payment.